If you are in search of Hello Kitty wallpaper for your computer's desktop, take a look at the five wallpapers in this guide. All five have their own unique look, but all have to do with Hello Kitty. 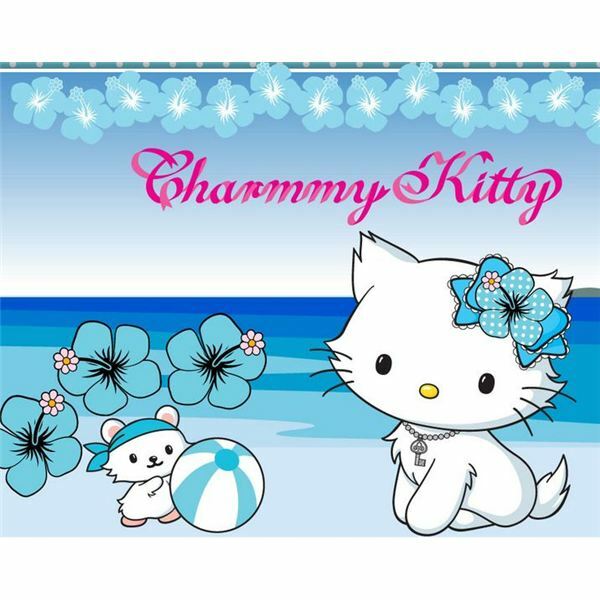 If you are a Hello Kitty fan, these wallpapers should be just what you are looking for. You can right-click on these wallpapers and set them as your wallpaper. Windows 7 users will need to save the background to their computer and then set it as a wallpaper. So, let's take a look at the Hello Kitty Wallpapers and see if we can find you a new desktop wallpaper. To use the wallpaper in this guide, you can use the links in the Resources box at the end of this guide. 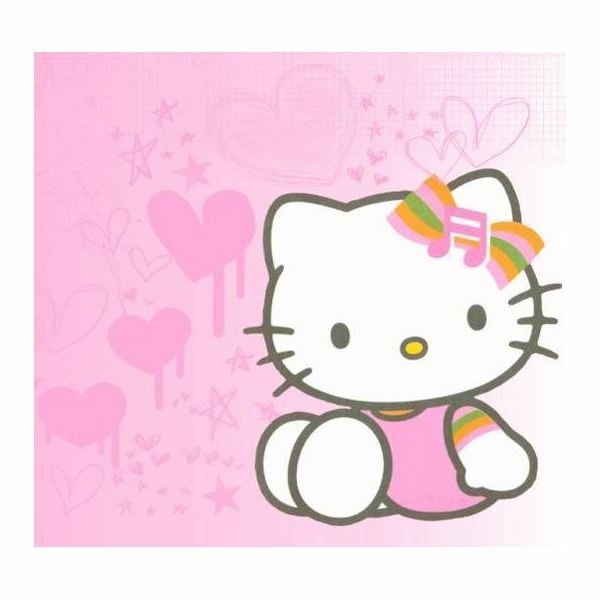 The first wallpaper we will take a look at is the Hello Kitty with the pink background wallpaper. This wallpaper has a pink background with ink hearts dropping ink splatters. Hello Kitty is sitting in the botton, right corner of the wallpaper. This wallpaper would work great on any desktop because it is not so busy that you couldn't see your desktop icons. 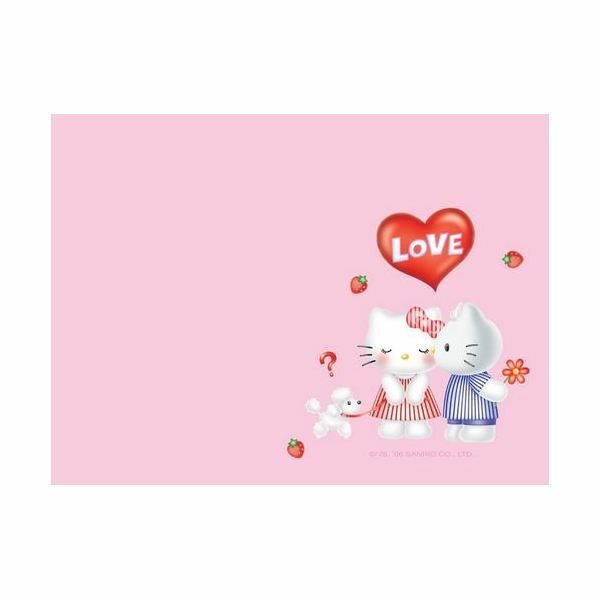 The next Hello Kitty Wallpaper in this list is the Love wallpaper. There is a boy Hello Kitty kissing a girl Hello Kitty on the cheek. There are hearts around both of the Hello Kitties and a large heart above the both of them that says "Love". This would also fit any desktop because desktop icons could be easily seen. If you are using Windows 7, take a look at this guide for wallpaper tips and tricks. Next in our list is the Hello Kitty Birds wallpaper. This wallpaper is so cute with the blue birds flying around. In the middle of the wallpaper is Hello Kitty. 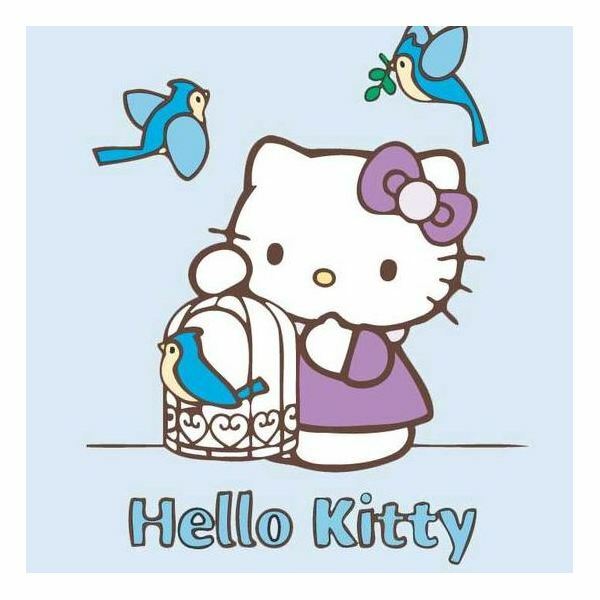 Hello Kitty is holding a bird cage with a bird inside and then there are two birds above Hello Kitty. This wallpaper is a little busier than the first two, so you may have to rearrange some icons in order to see them and make this wallpaper work. This Hello Kitty Wallpaper is just precious. Here we have the Hello Kitty Beach wallpaper. She is sitting on the sand at the beach with flowers and a beach ball. The colors in this wallpaper are really beautiful. If this is the wallpaper you would like to use, you may have to do some rearranging with your desktop icons if you have a lot of icons. With all the graphics in this wallpaper, you may not be able to see all your icons. The last wallpaper in this guide is the Hello Kitty Rainbow wallpaper. 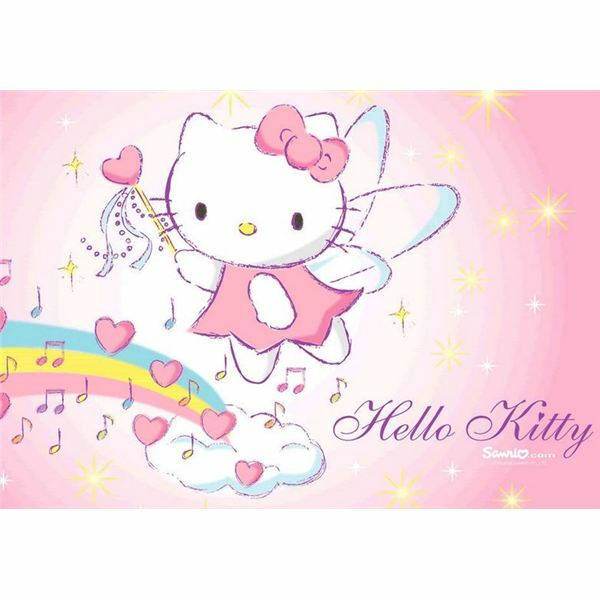 In this wallpaper, Hello Kitty has wings and is flying above the clouds. Coming out of the clouds is a rainbow and hearts. If you decide to use this as a wallpaper for your computer, you can rearrange your icons so that they appear in the top corners. Placing them in the corners will allow you to find what you are looking for a lot easier. If you like all of the wallpapers and can't decide on just one, you can use all of them if you are running Windows 7. To read more about your options when it comes to Windows 7 Wallpaper, take a look at this guide. All screenshots were taken by the author and are the property of their respective sites.